Summer is upon us, and that means time in the sun with drink in hand, amirite? Nothing can ruin a lazy sunday quite as much as warm beer, so we expect koozies to be popular this year. But these drink insulators are limited in their effectiveness. 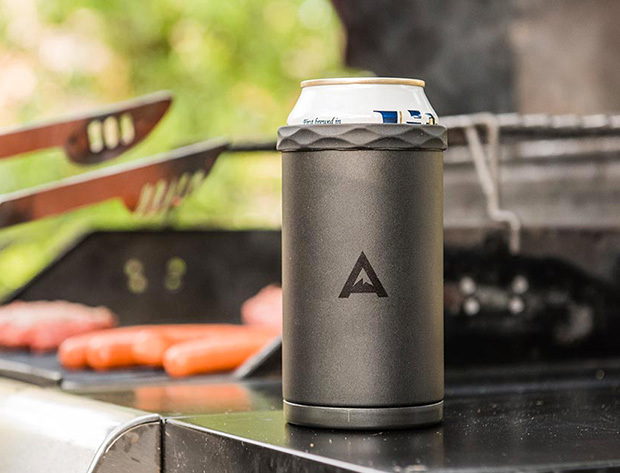 The Artican is a brand new take on the koozie, featuring “2-layers of vacuum insulated steel & an ice-filled “cooling core” that screws into the bottom keeping your 12 oz. bevvies 3X colder for 3X longer—up to 3 hours in the sun actually.” The core is filled with a “proprietary freezing gel” with a high specific heat coefficient, meaning it can absorb a lot of heat before it starts to warm up, making for an effective temperature buffer. And while $20 may seem like a lot for a beer cooler, just remember the last time you sipped lukewarm lager and you might change your mind. To say that technology has changed how people communicate is an understatement. Where people used to send telegrams and letters, we now send emails, instant messages, or SMS. Where people used to pick up the phone and talk to each other, we now use video chat and video conferencing where we get to see and interact with the people we’re talking to.